Do More of What Makes You Happy. If it makes you happy, then do more of it! Within reason, of course. Our wall decals are ideal for bedrooms, offices, living rooms, entryways, classrooms, even your car, bathtub or glass shower doors! 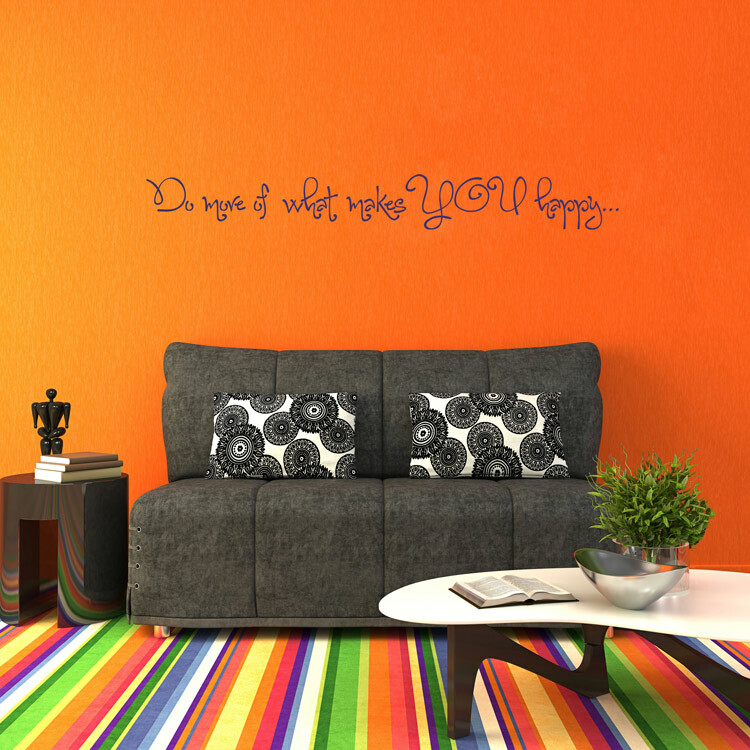 This motivational quote decal is shown here in our Large size, and measures, as shown, 72 inches wide by 8.5 inches high. Medium size measures 40 inches wide by 4.5 inches high. Small size measures 22 inches wide by 2.5 inches high. This quote wall phrase comes in sections in our size Large and Medium, but can be cut apart and applied as shown, or however you choose! The Small size comes in one piece, ready to apply. I absolutely love the name decals in the different fonts and they do a wonderful job of creating personalized decals!